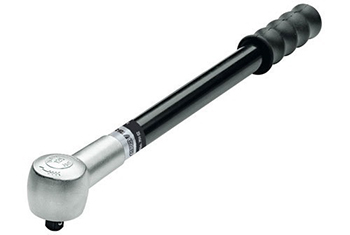 The most common Type of torque Wrench, after reaching the torque the wrench click for a degree of 3°. If the wrench is overtightened even after clicking the bolt gets over tightened. These kind of Torque Tools are available only with some manufacturer’s. When the TBN breaking torque wrench is operated, the rear section of the driver unit presses the roller. 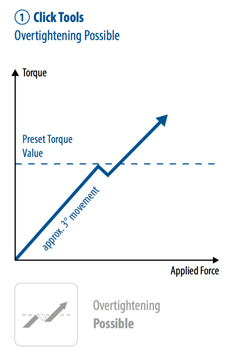 When the pre-set torque value is achieved, the lever switches over and the front section of the drive unit breaks. For Production usage where the Torque Wrench is used continuously. This clearly shows that the Torque has been achieved as the Torque Wrench bends 20 degrees. 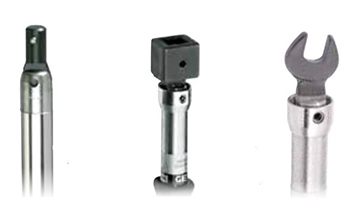 This unique Slipping type Torque Tools is only available with Gedore. 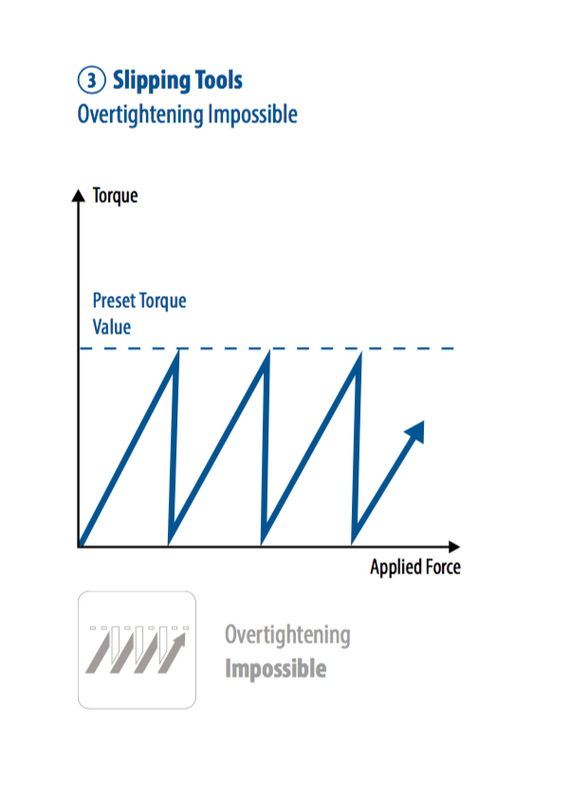 In this scenario, if the preset tool reaches its torque value a mechanism in the tool causes it to slip, thus making the tool impossible to over tighten. immediately ready for the next operation. 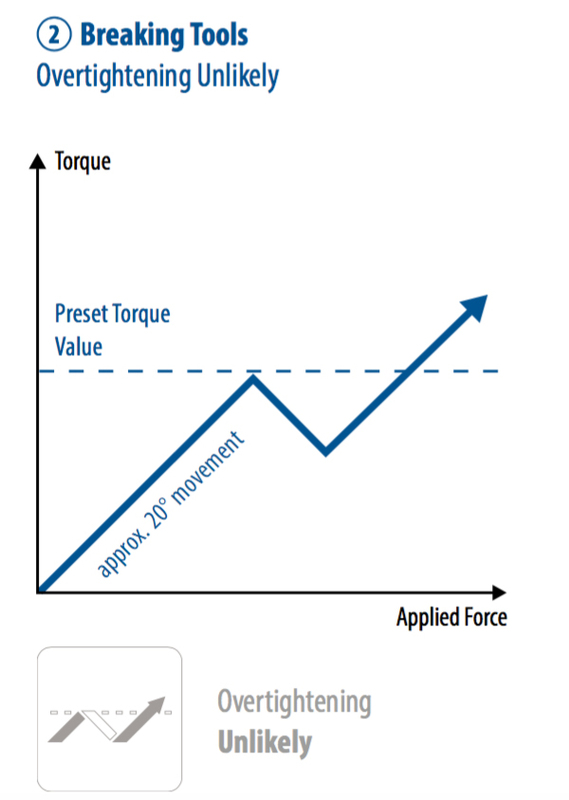 Torque Ranges starts from 0.06-13.6Nm. Since our Torque Screwdrivers are slip type Screwdriver, it would be the most efficient Torque Screwdriver in its class.